Federal Government information is made available for FREE public use in Federal Depository libraries located throughout the United States and its territories. 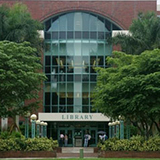 As the only member of the Federal Depository Library Program (FDLP) in Palm Beach County and the Treasure Coast, the FAU Libraries' Government Information and Maps Department works to make government resources available to the FAU community, citizens of the 22nd Congressional District, and the people of South Florida. The Federal Government Information Collection is located on First Floor West of the S.E. 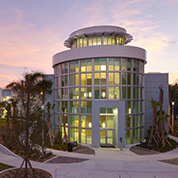 Wimberly Library on the Boca Raton campus. It houses the Libraries' depository print collections for federal government documents. It uses the SuDoc Classification System. The Map Collection is located on the First Floor East of Wimberly Library. 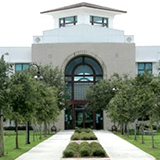 Government Information Electronic Collections can be found in the FAU Libraries catalog. The depository receives about 70% of government publications distributed through the FDLP. For additional resources, visit the Catalog of Government Publication (CGP) for a comprehensive catalog of print and online resources. To start your research in government information, also check out govinfo for full-text access to GPO electronic resources. Visit USA.gov for general government agencies information. To learn how government works, take a look at Ben's Guide. Go to FDLP.gov and GPO.gov to learn more about the Federal Depository Library Program.